West Des Moines, IA – The leadership team at one of Iowa’s most iconic real estate companies is evolving. Chris Costa has been named President/COO of Knapp Properties effective January 1, 2018. Additionally, Jake Lundgren has been named Executive Vice President. Gerry Neugent will remain CEO. Gerry and Bill Knapp II will serve as co-chairs of the Knapp Properties Board of Directors. William C. Knapp remains involved as Chairman Emeritus. Chris Costa has been at Knapp Properties for over 20 years. He began his career with the company in 1997 and has most recently served as its Executive Vice President and COO. Costa’s responsibilities included oversight of several departments at the company. In 1987 Chris earned his undergraduate degree from the University of Iowa and joined the Des Moines office of Deloitte and Touche where he spent six years, and attained the designation of Certified Public Accountant. Later he joined Knapp Construction, a residential construction company as its Chief Financial Officer. Chris currently serves on the boards of the Animal Rescue League, DMACC Foundation, Greater Des Moines Partnership Regional Economic Development, West Des Moines Plan and Zoning, West Des Moines Chamber of Commerce, Dallas County Local Housing Trust and the Waukee YMCA. He also serves as co-chair of the Greater Des Moines Partnership Development Council. Jake Lundgren has been at Knapp Properties for 16 years and serves as Vice President of Property Management. He will retain this role, as well as take on additional management duties. Jake graduated from the University of Northern Iowa with a finance and real estate degree. Lundgren is responsible for over 3 million square feet of office, retail and warehouse space and several apartment properties throughout the greater Des Moines area. Prior to joining Knapp Properties, he served as a Construction Manager for R&R Realty Group where he oversaw hundreds of tenant improvement projects. Jake currently serves on the Economic Development Board for Polk City. He is also a member of BOMA and IREM and has attained the designation of Certified Property Manager. After more than 24 years as Chief Financial Officer, Dennis Galeazzi has retired from Knapp Properties and Brett Hyland was recently hired to replace him. Brett has an undergraduate degree from the University of Iowa, Masters of Business Administration (MBA) from Iowa State University and a Masters of Accounting (MAcc) from Drake University. Brett has 24 years of finance and real estate related experience. He comes to Knapp Properties from Hubbell Realty Company where he spent 13 years and brings with him a solid understanding of the real estate industry in central Iowa. Brett currently sits as a community member of the Finance Committee for the Ankeny Community School District. Completing the executive management team are Aimee Staudt, Vice President and Director of Development, Stuart Ruddy, Secretary and General Counsel, and Brian Erickson, Senior Vice President of Brokerage. Other changes at Knapp Properties include the promotions of Christine Struecker to Vice President and Director of Family Office and Ben Garrett to Vice President of Brokerage Services. Also, Emily Whitmer was recently hired as Brokerage Marketing Coordinator. Knapp Properties was founded in 1992 by William C. Knapp. The premier real estate company offers more than 100 years of experience in development, brokerage and property management services. Construction has started on a bridge over the Raccoon River in the outskirts of West Des Moines. It promises to open up huge swaths of northern Madison County to development. Ellen Butler had her eye on the new Fourth + Court apartments above Hy-Vee. Her employer, Happy Medium, designed the website and branding for the building, giving her an inside edge. 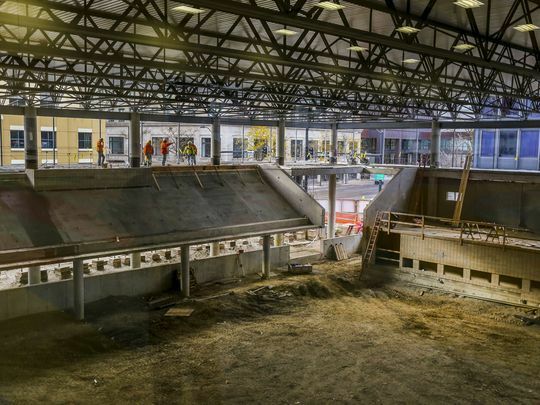 “Around the office, I heard someone say, ‘I think they’re going to start doing hard hat tours for units. ‘And I got the building manager’s contact information, and I said, ‘We would like a tour please,’ ” she says. Butler’s persistence paid off. 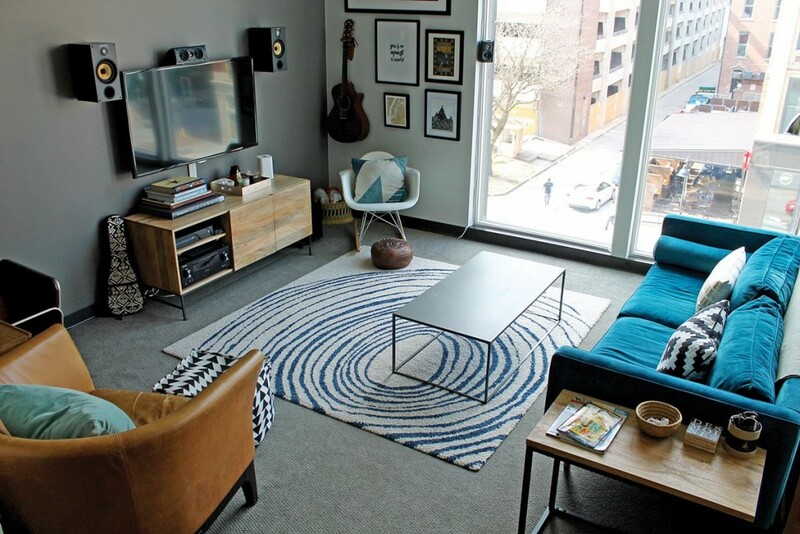 In March, Butler and her fiancé Geoff moved from their apartment near the Des Moines Art Center into the brand new 81-unit complex. Their more-than-1,255-square-foot, two-story, townhome-style unit includes two bedrooms, two and a half bathrooms, two balconies and floor-to-ceiling windows looking out over Court Avenue. 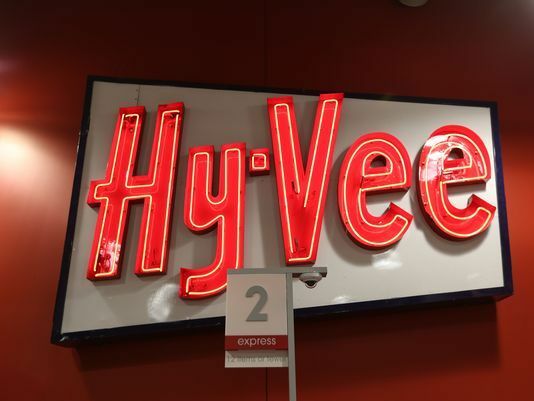 At this point, you’d have to be living under a rock not to know a Hy-Vee is opening in downtown Des Moines. The 36,000-square-foot grocery store, which has been the subject of much fanfare during the three years since it was first proposed by Knapp Properties and Hy-Vee Inc., will open at 6 a.m. Tuesday at 420 Court Ave. The nine-acre site in Grimes where a YMCA was once planned is back in familiar hands and slated for commercial development. The YMCA of Greater Des Moines recently sold the parcel on East First Street to All Points Development, an entity managed by Knapp Properties, for $725,367. Knapp previously owned the land and donated it to the YMCA in 2006. Aiming to keep pace with Ankeny’s rapid growth, UnityPoint Health is building a $25 million medical park on the suburb’s burgeoning north side. The hospital operator broke ground last week on the facility at Northeast 36th Street and Ankeny Boulevard, vowing to bring medical services spread throughout Ankeny under one roof. A 100,000-square-foot warehouse is beginning to rise from the ground in the Airport Commerce Park South. 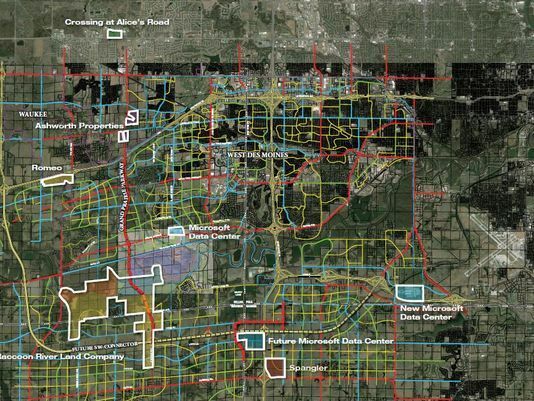 After sitting quiet for years, several new developments are in the works in the sprawling businesses park on the south side of the Des Moines International Airport. 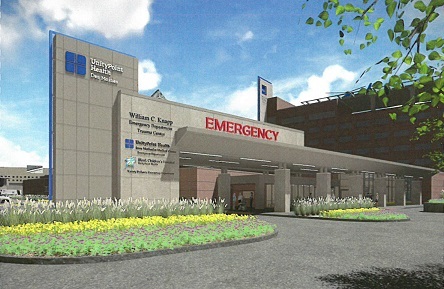 DES MOINES, IA – Entrepreneur and philanthropist William “Bill” C. Knapp has made a commitment of current and future gifts, estimated at $5 million by UnityPoint Health – Des Moines, in support of the expansion and renovation of the Emergency Department and Trauma Center at Iowa Methodist Medical Center and Blank Children’s Hospital. In recognition of his leadership support, the new name will be the “William C. Knapp Emergency Department and Trauma Center”. 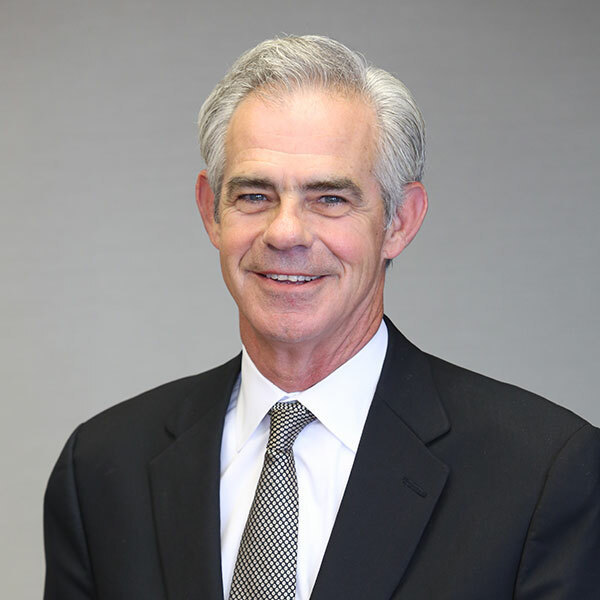 Gerry Neugent, president and CEO of Knapp Properties, Inc. was named the inaugural Great Western Bank Commercial Real Estate Professional of the Year on April 22. The award honors professional accomplishments and community engagement among CRE professionals. In addition to his terrific work at Knapp Properties, Gerry is the director of the Iowa Events Center Hotel Corp and the chairman of the Greater Des Moines Partnership. Knapp Properites was one of five winners of the Better Business Bureau of Iowa’s 2015 Integrity Award and was honored at the BBB 75th Anniversary Luncheon on April 16. This award honors businesses and students that demonstrate superior ethics, reliability and trustworthiness. Des Moines University will honor the achievements and impact of longtime central Iowa developer, entrepreneur and philanthropist William “Bill” C. Knapp at the University’s 11th annual Glanton Minority Scholarship Dinner on Thursday, Oct. 9, at the Meadows Events and Conference Center, Prairie Meadows, Altoona. Knapp Properties, one of central Iowa’s most prominent real estate and development companies, is shuffling its top leadership. The company announced Tuesday morning that Gerry Neugent, a co-owner who has served as president and chief operating officer since 1993, will be president and CEO. Bill Knapp II, who had been CEO and chairman of the board, will remain involved full-time with the company as chairman. 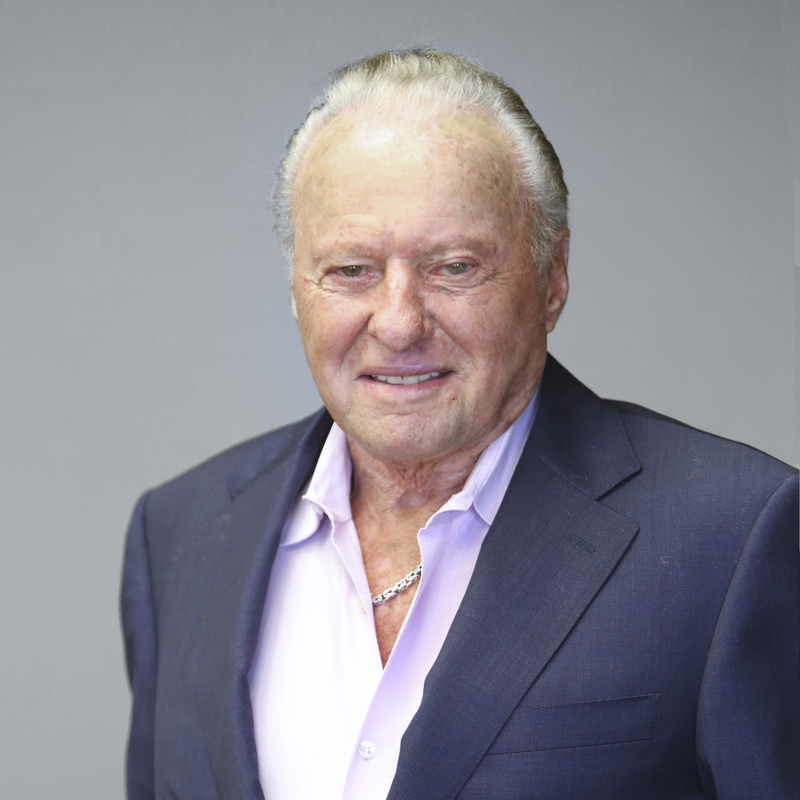 Des Moines, Iowa – Business Publications Corporation, Inc. announces the release of a new book documenting the life and legacy of local real estate mogul and philanthropist, William (Bill) C. Knapp. 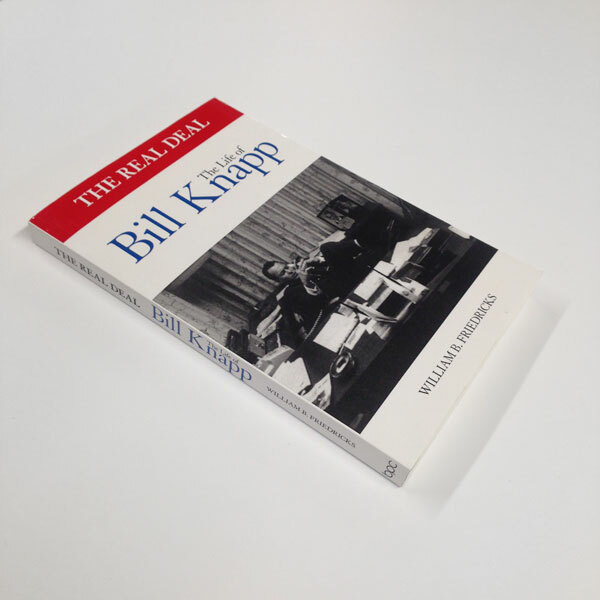 The biography, titled “The Real Deal: The Life of Bill Knapp,” will first be made available on August 9, 2013, at the Iowa State Fair and for purchase through local book retailers and Amazon.com. 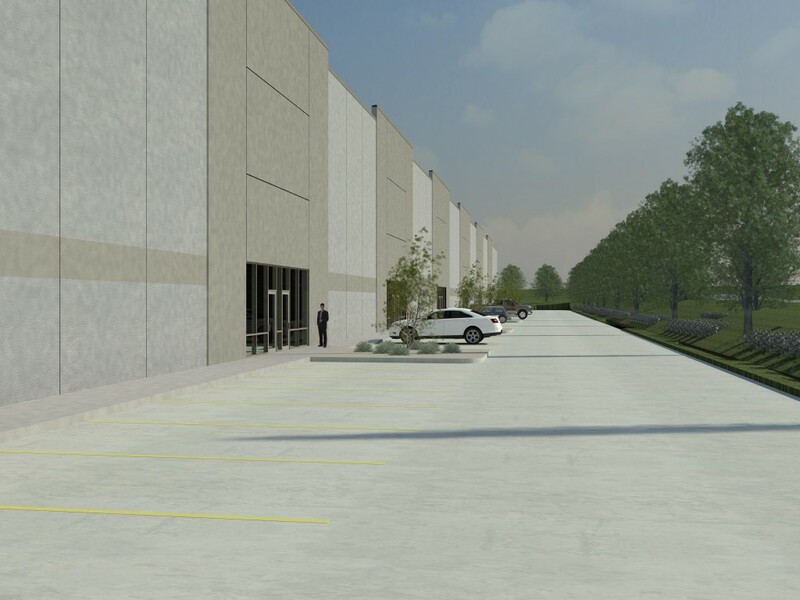 Meals from the Heartland, a volunteer-based organization that provides millions of meals for the hungry each year packaged by volunteers, has unveiled plans to build a new $1.9 million packaging center in West Des Moines. Des Moines business leader Bill Knapp donated 2.9 acres of land in West Des Moines to build the new “Patty Cownie Center,” named after another lead contributor and long-time supporter of many Des Moines civic projects.